Hi Chris – Wonder if you’re still checking this blog. I have exactly the same photos as you have on this page! 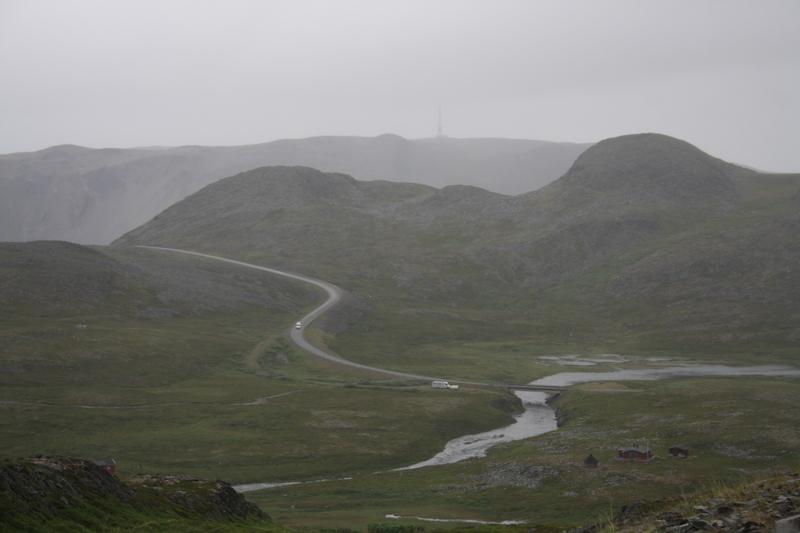 I was cycling from Kirkenes to A in the Lofoten Islands in July 2011 when I took the road to Slettnes. The weather was absolutely foul – rain and gale-force winds. In fact the wind was so strong that I had to lean at quite an angle on the rough road leading to the lighthouse. Suddenly my wheels slipped and I was dumped on the ground in an undignified heap. Warmed up a little in the cafe by the lighthouse. Drank coffee, ate a waffle or two, took a tour of the lighthouse and was then offered a lift back to Mehamn. A few kms into the drive along the road the lovely retired Norwegian couple whose van I was riding in said, ‘You will stay the night, won’t you?’ During this visit, I was told the 70 year-old queen of Norway had cycled the stretch between Mehamn and Slettnes earlier in the summer! – Wonder if you’re still checking this blog. I have exactly the same photos as you have on this page! 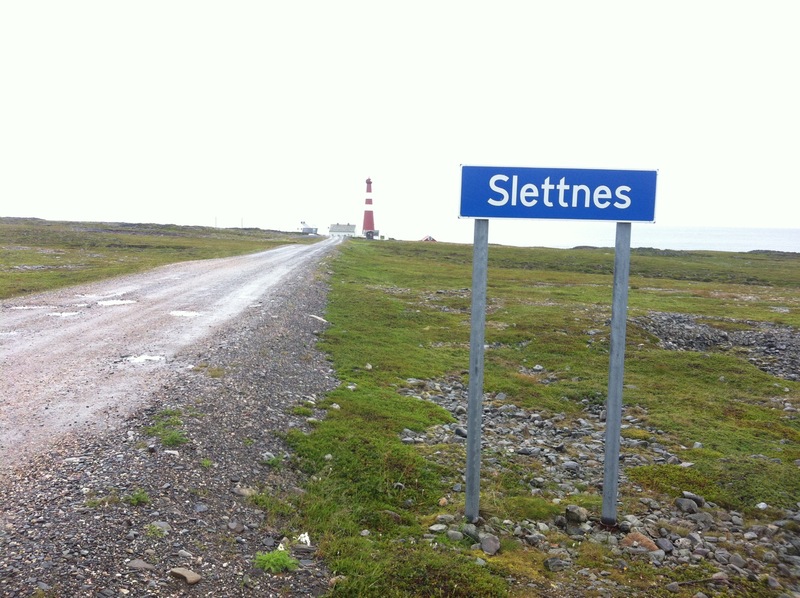 I was cycling from Kirkenes to A in the Lofoten Islands in July 2011 when I took the road to Slettnes. 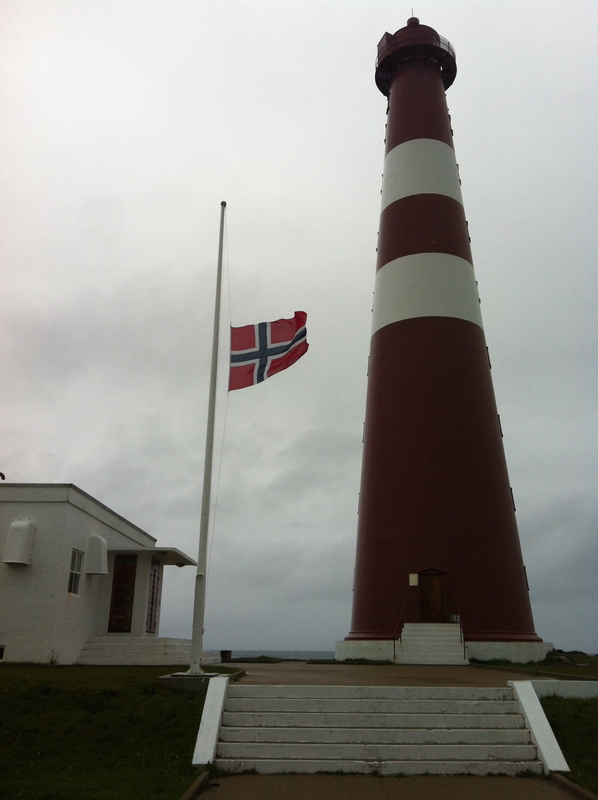 The weather was absolutely foul – rain and gale-force winds. In fact the wind was so strong that I had to lean at quite an angle on the rough road leading to the lighthouse. Suddenly my wheels slipped and I was dumped on the ground in an undignified heap. Warmed up a little in the cafe by the lighthouse. Drank coffee, ate a waffle or two, took a tour of the lighthouse and was then offered a lift back to Mehamn. A few kms into the drive along the road the lovely retired Norwegian couple whose van I was riding in said, ‘You will stay the night, won’t you?’ During this visit, I was told the 70 year-old queen of Norway had cycled the stretch between Mehamn and Slettnes earlier in the summer! The wind can be amazing in Norway. A beautiful country though. This year I’ll be cycling across the world. Really looking forward to it!